Are you ready to feel joy again? The journey can begin today. Mother, author, life coach, and entrepreneur, Lynnette Otero draws from her personal life experience to help others overcome tragedy and heartbreak. Her background in social work also forms the foundation of her grief to joy transformative coaching, and she is a professional speaker as well. Do you feel buried in your grief or despair with no hope of climbing out? Does it seem like all your good days are behind you? Do you want to recapture the joy of your youth but don’t know how? Lynnette Otero has been in your shoes. Her beautiful love story turned tragic when her husband was diagnosed with cancer. In the months that followed, high stress and anxiety dominated her days, and then when her husband died, she was left with anguish, grief, loneliness, and five children to raise. 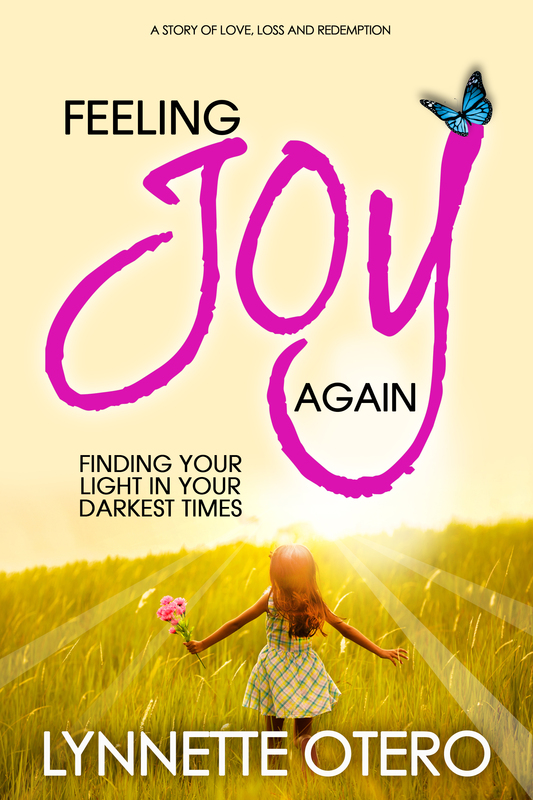 Feeling Joy Again is the raw and powerful story of how Lynnette survived these heartbreaking events, pulled herself out of the pit of despair with the help of loved ones and a belief in God, and ultimately came to believe that her life was worth living. Now she shares her story to give hope to others seeking to end their mental nightmares and transform their lives into wellsprings of joy. Schedule a no-obligation, complimentary, 20-30 minute Joy Consultation with transformation coach, Lynnette Otero.